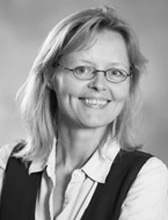 Jóhanna Birnir is an Associate Professor in the Department of Government and Politics and the Research Director of the Center of International Development and Conflict Management at the University of Maryland. Her research is in the field of Comparative Politics. Broadly speaking, Dr. Birnir focuses on political developments in new democracies in Latin America and Eastern Europe. More specifically, she studies the effects of institutions on party system development and ethnic politics with a special emphasis on conflict and terrorism. Johanna Kristin Birnir is the recipient of this year's National Academies Research Council's Department of Homeland Security Resident Research Associateship at the START and CIDCM. She completed her Ph.D. at the University of California Los Angeles in 2001 and accepted a position as Assistant Professor at SUNY-Buffalo that same year. Her research is in the field of Comparative Politics. Broadly speaking she focuses on political developments in new democracies in Latin America and Eastern Europe. More specifically, Johanna studies the effects of institutions on party system development and ethnic politics with a special emphasis on conflict and terrorism. She is the author of Ethnicity and Electoral Politics(Cambridge University Press) and her papers are published in Latin American Research Review, Comparative Political Studies, Studies in Comparative International Development, Research Policy, and other professional journals. While at CIDCM Johanna will be working on the "paradox of political terrorism in democracy" and institutional solutions to ethnic conflict and terrorism. She will also be involved in the improvement of the MAR data-set and merger of MAR and the new MAR/Organizational Behavior.